The early 1960s witnessed the gradual emergence of a new generation of Slovak filmmakers who had been trained at the Film and Television Faculty (FAMU) of the Academy of Performing Arts in Prague. Their work brought new impulses and values to Czechoslovak cinema and marked the beginning of the most creatively productive period in the history of Slovak and Czech cinematography. Several social-political and artistic factors influenced developments during this period. These included the gradual relaxation of ideological pressure from the Communist authorities on art and culture, which in turn led to the broadening of the space for more free work. In the context of political developments in Czechoslovakia in 1968, it resulted in the abolition of censorship. In this social-political situation, Slovak film passed out of its period of ‘childhood’ and into a successful first decade of cinematographic development, underpinned by a competent technological infrastructure, an expanding body of film professionals, creative contact with other fields of art (especially literature and music) and sufficient state resources for continued production. Film distribution also functioned effectively in Slovakia and the cinema network grew. Documentary and feature films were already well established, and in the second half of the 1960s animated films, experimental films and television films also began to develop. The international context was also a significant factor which affected the development of the Slovak and Czech film ‘new wave’ of the 1960s. The loosening of ideological supervision permitted the importation of foreign films, the presentation of Czech and Slovak films abroad and the development of international co-productions – now, for the first time in history, Slovak co-productions with western European countries could be made in Slovakia. Czech and Slovak filmmakers were naturally influenced by trends in contemporary European cinema (France, Germany, Great Britain, Italy, Sweden and others), which placed emphasis upon the director’s personal interpretation of reality and intensive search for modern film expression. Consequently, for the first time in its history, Slovak film became equally and inspirationally representative not only of Slovak national culture, but also of the wider European cinematographic context. Pieseň o sivom holubovi (photo by Milan Kordoš, Photoarchive Slovak Film Institute). In 1961 Stanislav Barabáš directed the film Pieseň o sivom holubovi (‘A Song of a Grey Pigeon’) based on the story and screenplay by Albert Marenčin and Ivan Bukovčan. The latest in a long line of films about the events of World War II, it presented in a free cycle of six stories about the war seen through the eyes of a child hero. Although this new approach in the depiction of a traditional theme did not disturb the official interpretation of anti-fascist resistance at that time, it enabled the broadening of its artistic depiction. It placed emphasis on the emotional bonds of the main character with the people he meets in his small world as he accidentally wanders ‘through the big battleground’. Thus Barabáš created space for film metaphor and for subjectivising the view of historical events. He also avoided any ideologising or national or social pathos. 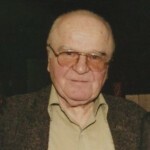 Pieseň o sivom holubovi received an award at the third Festival of Czechoslovak Film of 1961 and in the same year received an Honourable Mention at the 22nd Venice International Film Festival. World War II and its historical and social context also entered into the relationships and fates of the characters in the film Obchod na korze (‘Shop on Main Street’, 1965), directed by Ján Kadár and Elmar Klos and based on the book by Ladislav Grossman. This film, whose origins were in the Barrandov Studio of Prague, was Czech in terms of its production, but its theme, shooting locations, language and actors make it more of a Slovak film. It tells a tragicomic story from the period of the wartime Slovak state. The plot deals with interpersonal relationships in a small Slovak town and depicts the fates of ‘small’ people lost in the whirl of ‘great’ history. Through its sensible and emotionally powerful approach in the depiction of racism, its ‘subtle’ outer manifestations and destructive consequences on the life of an individual, the film became a metaphorical reflection of a historic period in Slovakia which even today awaits a historically correct and ideologically unburdened assessment and further artistic reflection. Obchod na korze was the only film with the dominant participation of Slovak film makers to win a number of international awards, including the Best Foreign Language Film ‘Oscar’ from the American Academy of Film Art and Science.